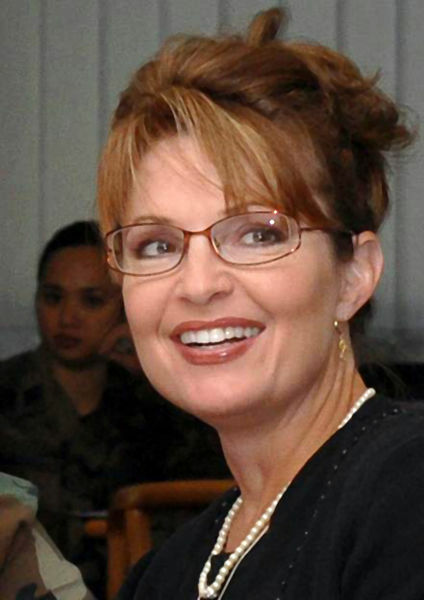 How Do The "Wise" Republican Veterans Miss What Sarah Palin Brings To The Table? It has taken me a few days to get this post off the ground, but as usual, those few days further enlightened the subject. I want to mention several noted conservatives’ dismissive comments about Palin that I find perplexing. How do they entirely pass over what is so politically obvious? But specifically, so as to understand where I am, I want to address the radio discussion Tuesday of Michael Medved, who is an extraordinarily well-informed conservative who well understands the rational and historic substantiation of conservative government. I listen to him regularly and agree when he makes such a case. However, this is another instance of my not uncommon questioning of his expression of political strategy, though we have much agreement there, too. Medved has always thought Palin a flawed potential candidate. And Tuesday, he asked if his listeners could identify one specific thing that Palin would bring to the campaign that say, a Michele Bachmann would not. I couldn’t get through, but the answer is as plain as the nose on your face. Could that be why they so easily look past it? Before I discuss the criticism of Palin, I have written that I like Tim Pawlenty, and it appears that he has decided correctly that it is no time to pussyfoot about what is needed, whether that is a political or practical American calculation, or both. Coming out pre-Iowa against the continuation of inefficient ethanol subsidies which is one more waste America can’t afford, in itself starkly distinguishes Pawlenty from Mitt Romney’s political barometry. Pawlenty has also opposed a “clean” debt-ceiling hike from the start, which Tuesday Republicans and nearly half of Democrats in The House voted down. But I don’t see the force in Tim Pawlenty that moves masses to the cause. I also said I like Herman Cain and that he could possibly express such a force. If he does, he will be nominated and nothing more need be said. And, I like Michele Bachmann a lot and would be very happy with her as president. The question is, can she as easily a) get from here to there, and b) equally arouse the people to follow her leadership. And, I suspect the answer in both cases is no. Palin’s name ID alone is off the charts. Instructing a subordinate or considering a bill, I’m not terribly opposed to any of these others. But, there’s more to being president than that, beginning with the facility of winning a nomination and election, and hopefully then as President, rallying the country behind your agenda. I’ve said before that I have never in my life seen any Republican draw and animate crowds like Palin. The only Democrat who has is Barack Obama. AND HE JUST HAPPENS TO HAVE WON THE LAST PRESIDENTIAL ELECTION! And he not only passed legislation, but it was some of the most God-awful un-American intrusion and coercion in history! Palin’s agenda would be as Pawlenty, Cain and Bachmann’s would, to restore the elements that have been historically unique to the American system. But, her record is one of a motivating leader and an unflinching and forceful executive. How would Michael Medved respond to that point? It’s true that however through attack or fear of her assertive conservatism, she has high negative reactions among the public. We know that there is an ardent, noisy, and relatively substantial 30 percent or so that will NEVER be turned, and their noise will never stop. However, I think there is easily a 10-15 percent of doubters who CAN be persuaded that she is capable and sober about repairing some serious problems in America. She would need to address Americans directly, and bring her negatives down. But it’s been done before, and it probably involves much of the same facility that I’ve been talking about. Demonstrating the substance that I know is there from her history and calming the anxieties of people who DON'T know it is JOB ONE! And, I don't mean that she must deliver a verbose and eloquent speech. I just mean that she needs to soberly look into the camera and speak her own common-sense explanation of the problem and the restoration of American principle that is needed. Andrew Sullivan has called himself a conservative though he’s been all over the map and a big scorner of Palin. A few days ago, he told Chris Matthews that he thought it possible that Palin could possibly be elected President. But when Matthews asked if he was trying to lure her into the race, he said, “no…because I’m too terrified for the country to do such a thing...” George Will, whose writing and speech I’ve admired for over 35 years, on Sunday seemed to exhibit some uncommon passion, when he said the question of whether someone should be trusted with nuclear weapon answers itself when it comes to Sarah Palin. She doesn’t worry me at all. Charles Krauthammer explained himself a bit more fully on Tuesday, saying that she was smart and politically skilled, and still could in the future, but has not “schooled herself” on the relevant issues. In the first place, she plainly has and is ever more assertive on such details. But in any case, I’m a policy geek, watching this stuff closely. But, I have little sympathy for the idea that such attention is necessary to the presidency. Recall Herman Cain being surprised last week by Chris Wallace’s question about a Palestinian “right of return.” Does that make me wonder whether Cain could be President? Not a bit. Recall that one reporter in 2000 interrogated then-governor George W. Bush about the names of leaders of many foreign countries. And his suitability was questioned because he wasn’t perfect on it. A state governor or a business executive like Cain has not been focused on such things. But, a sober executive looks at a situation and counselors’ input, and makes a deliberate decision. Good executives, other business people, pastors and other mature adults can sense when someone is trying to bluster, mislead or take advantage of them. And Palin’s history has shown that ability and the strength to deal with it decisively, in spades! Surely these people have looked at her record in Alaska in dealing with large corporations and other challenges, and with corrupt politicians in her own party? We need to ask if Sarah Palin's time is NOW, not later. And it isn't simply a question of her own ambition. I'm fine if her own prospects are not her primary concern and if she has overriding family concerns. And It's not a matter of personal idol-worship for me. It's a question of exploiting a unique capacity that, even 4 years from now, I suspect will have generally faded, not grown. But, the issue is that America is at a critical stage in most precarious condition. And God has put a unique capacity at her discretion AT THIS MOMENT. Win or lose, she can deliver the message, and the choice will be the responsibility of the American people. You can lead a dehydrated horse to water, but you can’t make him drink. I think identity politics reveals a problem in consideration of the substance of issues. But, it’s a reality, whether we like it or not. I twice supported Alan Keyes in Republican primaries, though I think he responded unproductively to being kicked around by the Republican establishment after he was rightfully praised early by people like Reagan (he served in the Reagan administration) and Rush Limbaugh. Keyes was very educated and a brilliantly lucid thinker and orator. I’ve said that he soured and lost his cheerful presentation and became a Jeremiah. Ancient Israel didn’t want to hear the weeping prophet’s bad news truth, and the American electorate certainly doesn’t want to hear it. The course of his career was a tragedy. Speaking of Medved, he cruelly mocks and disparages Keyes, which is not quite necessary. But, I said the other day that Republicans booted the opportunity to nominate a brilliant first black major-party candidate, and that any decent chunk of the usually 95 or more Democrat percent of the black vote would have been a huge boon to Republicans. Women are around half of the vote, and a small percentage shift would make a BIG difference. Again, a lot of people vote most strongly not on an argument, but on emotion. Well…? Whoever does in fact win the Republican nomination, if it’s not Palin and the political “experts” aren’t hidebound to make certain that her unique facility is applied to the contest in some way, the Republican Party is again looking beyond its nose. Unfortunately, it’s done it many times before.